Blade & Knoll founder and sculptural artist Christina Graziano created Blade & Knoll here in Denver in 2013 and has continued to be a leader in the local artisan scene ever since. With a degree in sculpture, emphasis in metalsmithing and woodworking (in other words - she knows her stuff! ), Graziano designs quality handmade jewelry and household goods like cutting boards, shelves and wall hangings with a modern minimalism design and artist aesthetic. Blade & Knoll is an exploration of contemporary form and modern minimalism in product design from a sculptural standpoint. 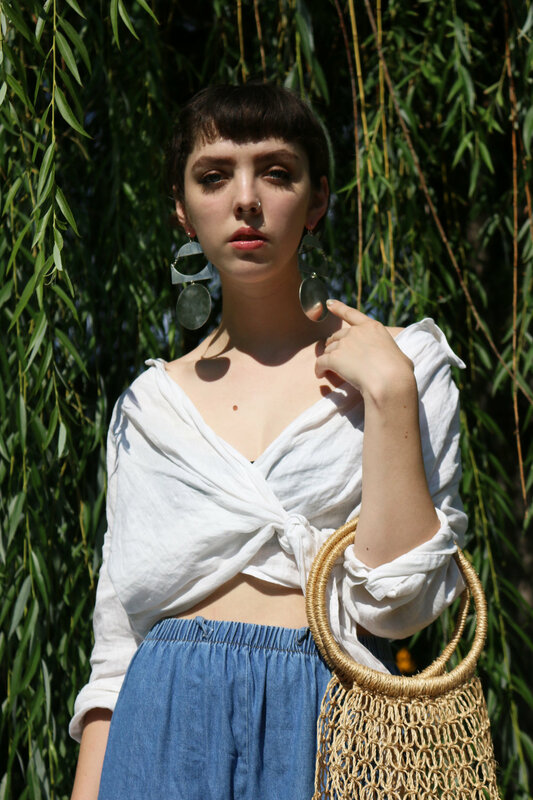 The focus became making quality handmade jewelry and other household goods with ever changing three dimensional inspiration and artistic aesthetic. Through this exploration, Blade & Knoll is constantly creating new jewelry, cutting boards, shelves, wall hangings, mobiles, sculptures and other household goods. 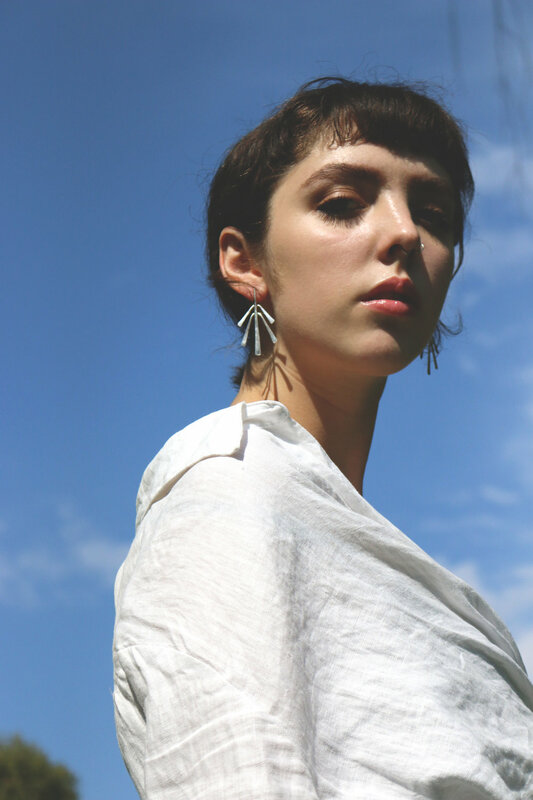 I’ve been making jewelry since I was a kid, but our first Blade & Knoll product was a pair of large hand cut metal statement earrings. My first home good was our Totem Cutting Boards. Blade & Knoll is constantly changing. We are heading towards a more selective and curated, sense of high fashion work. Metals, woods, fibers and other random things. Metal is my favorite however. There are just so many types and forms, and so many options of processes to make something 3d out of it. It is just sooooo satisfying to me. It’s also a more flexible and forgiving compared to wood, and, its badass. Getting my cup of coffee and sitting down to the production table. I love production days! The maker community that I met here 4 years ago, they are great. Back in the day the maker market was very good, and a good place to start your business, lots of support from local shops and other makers. The Large Triangle Shelf for our living room wall and the Hey Hey Hands Earrings for our ears! Everything we make is an original design! I have probably sawn through miles of metal with the worlds tiniest saw.